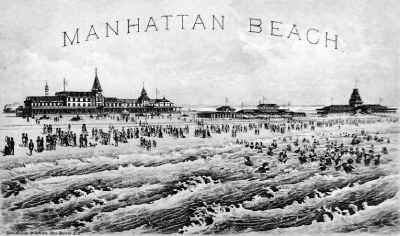 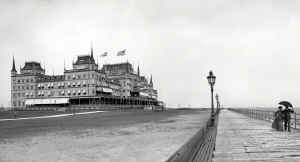 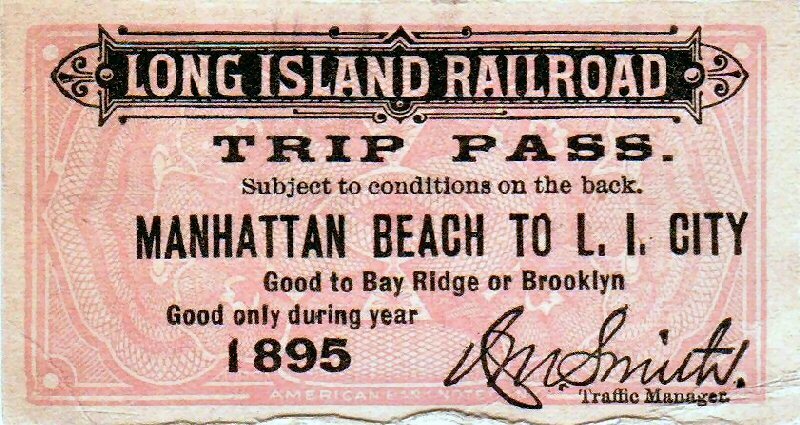 Built by New York & Manhattan Beach R. R. Co. as a narrow gauge, single track line in 1877, from Ocean Avenue to the Oriental Hotel. 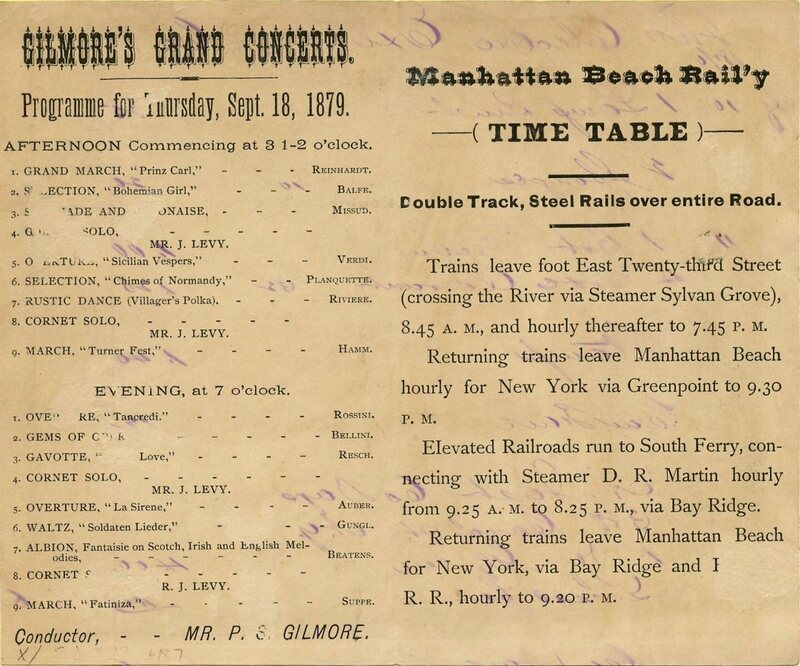 Double tracked: 1878, as a narrow gauge line. 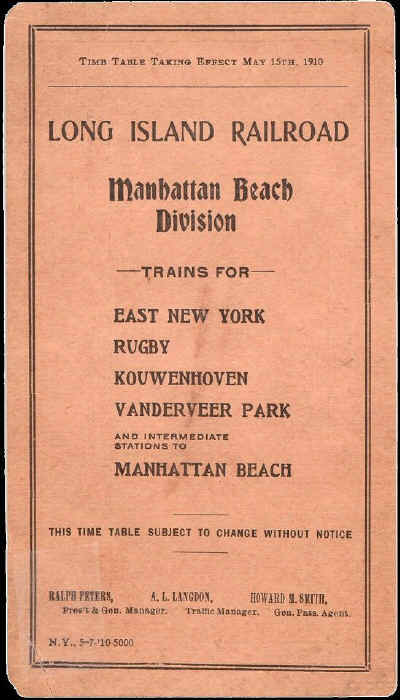 N.Y. & M.B.R.R. 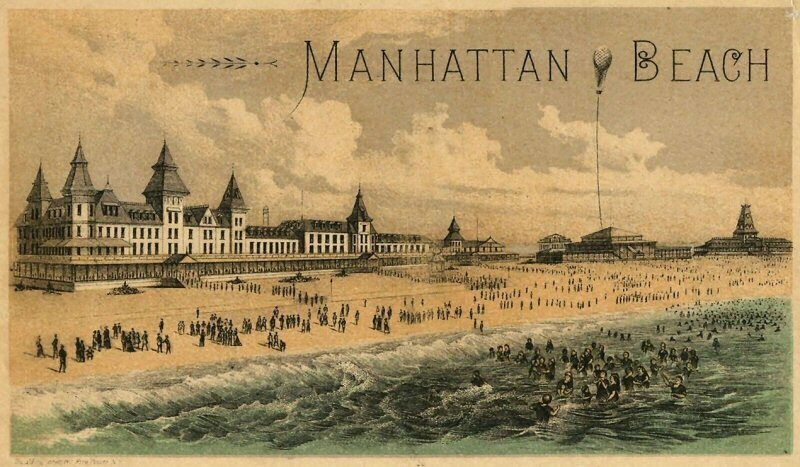 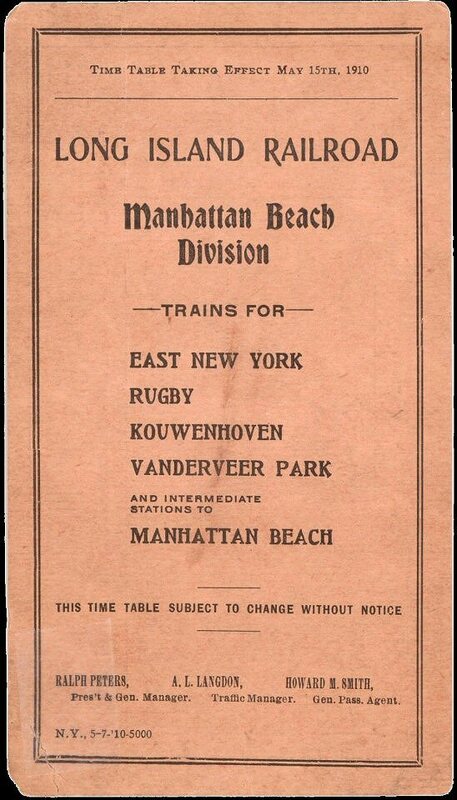 became New York, Brooklyn and Manhattan Beach R.R. 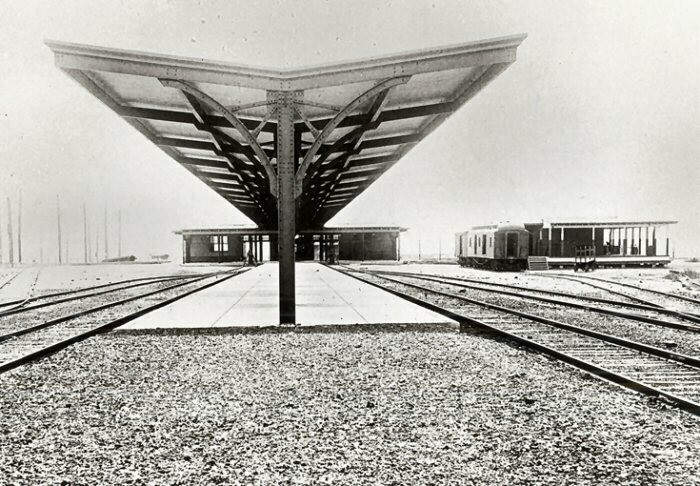 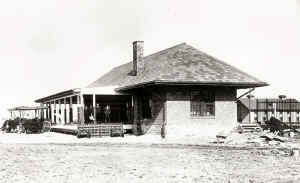 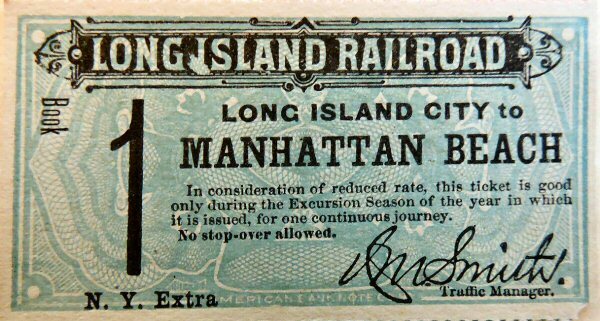 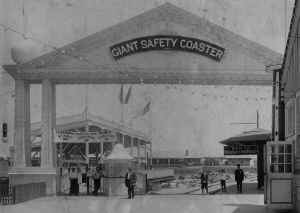 in 1885, and leased to the LIRR. 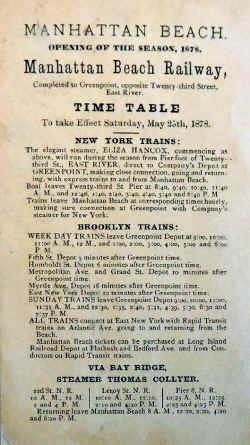 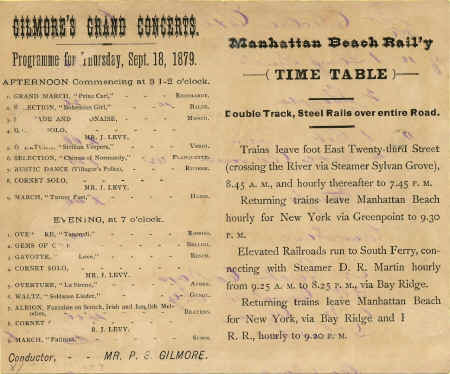 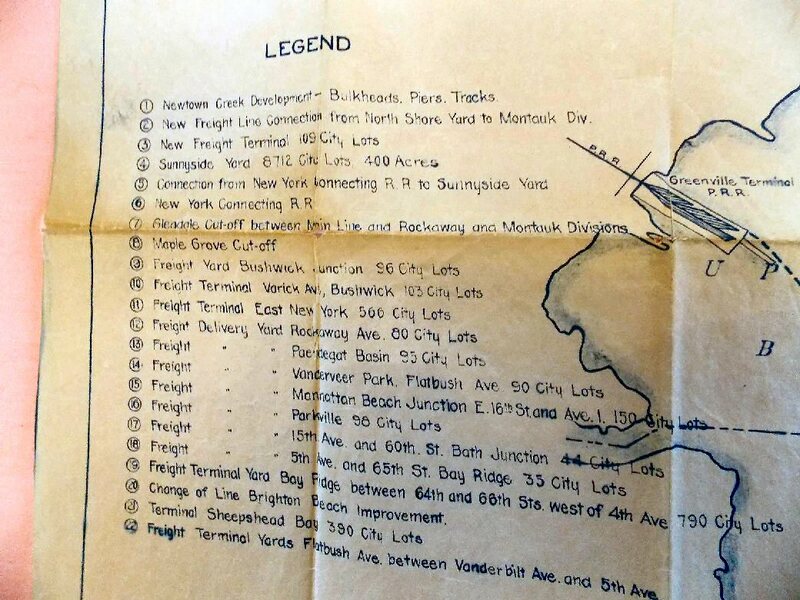 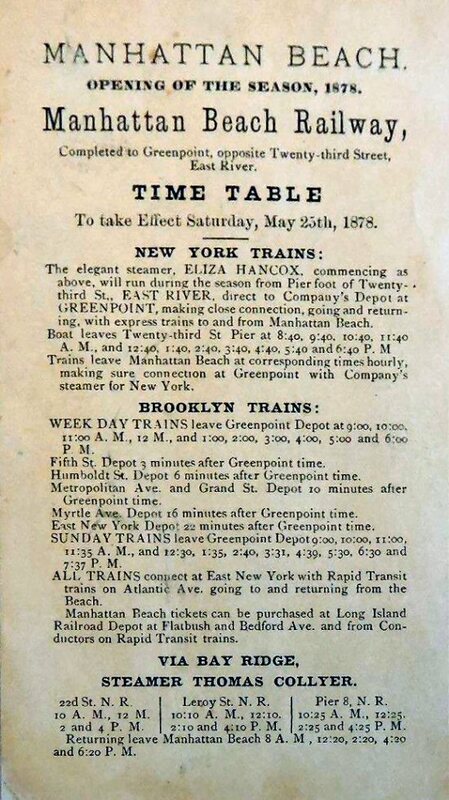 Last passenger train from Long Island City to Manhattan Beach shown in timetable effective October, 1923 and lasting until May, 1924. No 1 or No 2 tracks. 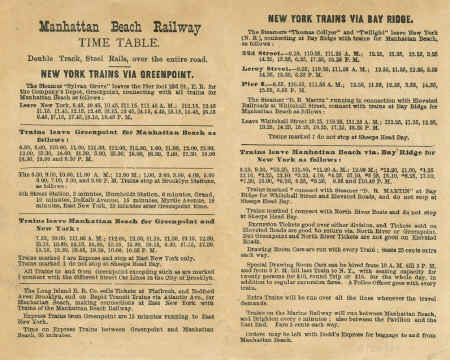 Grade crossing eliminations and relocation of main tracks started in1908 and lasted all during 1909, finishing in March, 1910. 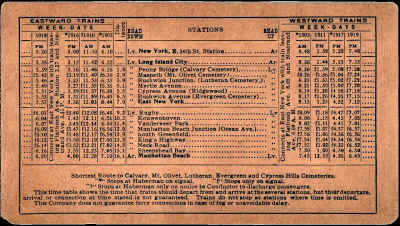 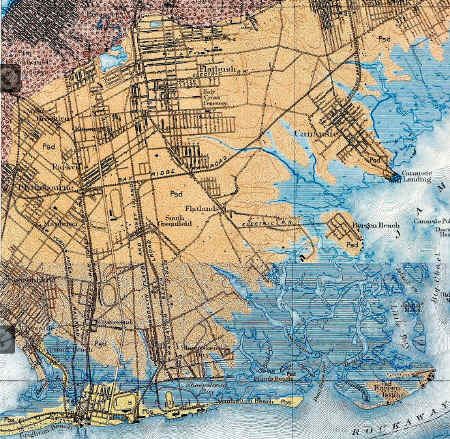 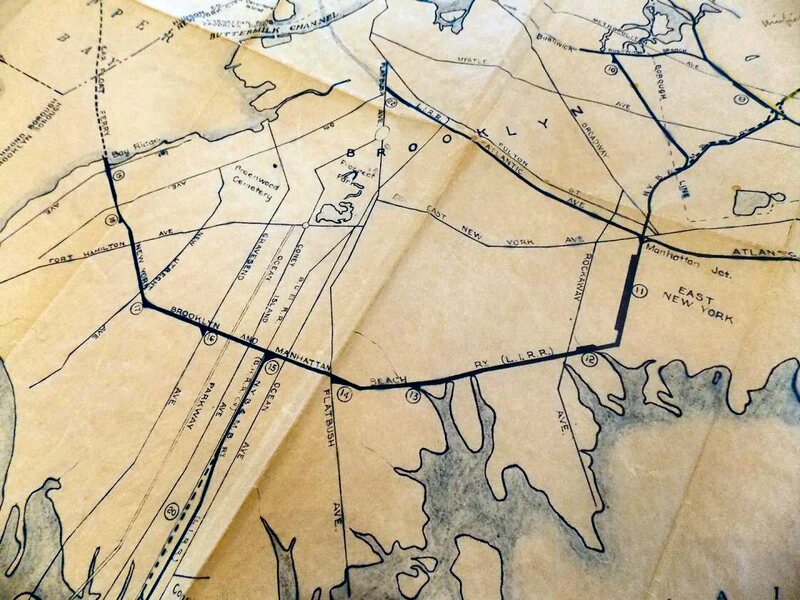 1st work: Depressing of Main Line: 7th Ave. to Avenue G: 4 ½ miles. 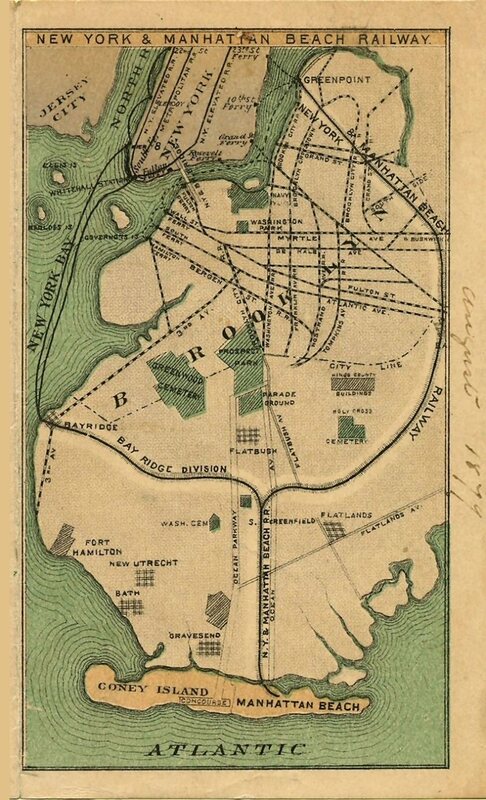 Elevating of Main Line: Avenue G to New Lots Road: 2 ½ miles. 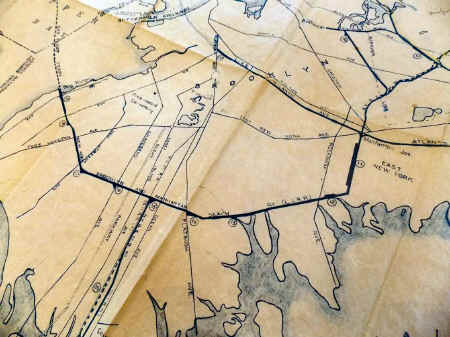 2nd work: Depressing of Main Line: Liberty Avenue to New Lots Road: 1 mile. 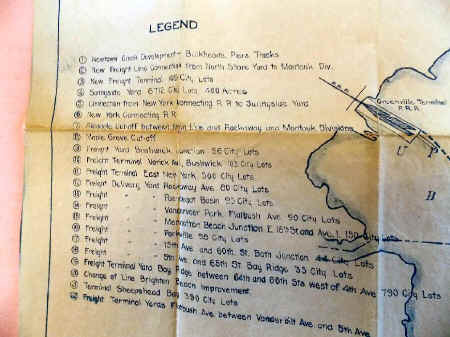 3rd work: Tunnel of Main Line north portal to south portal: 1 mile. 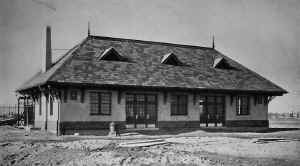 4th work: Elevating Main Line North portal to “FN” cabin: 1 ½ miles. 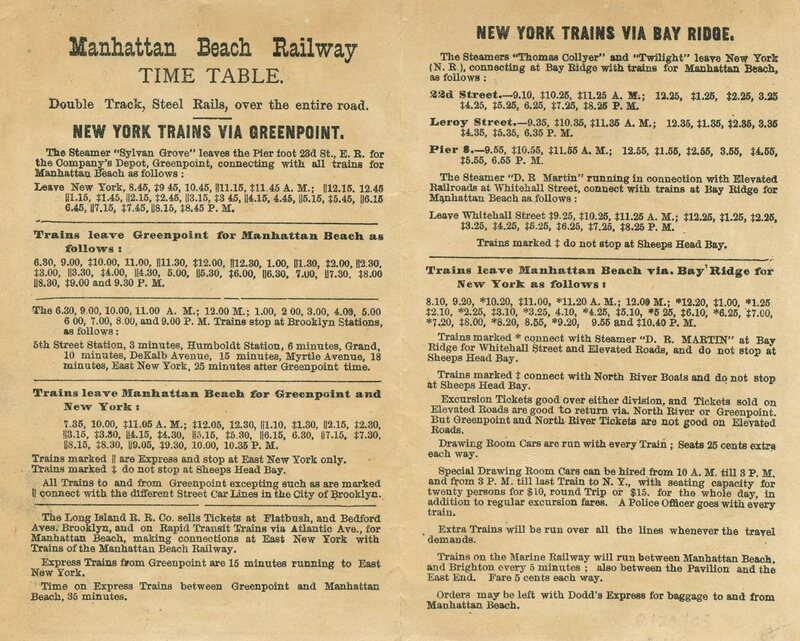 5th work: Widening of cut, 7th Avenue to floats: 1 ½ miles. 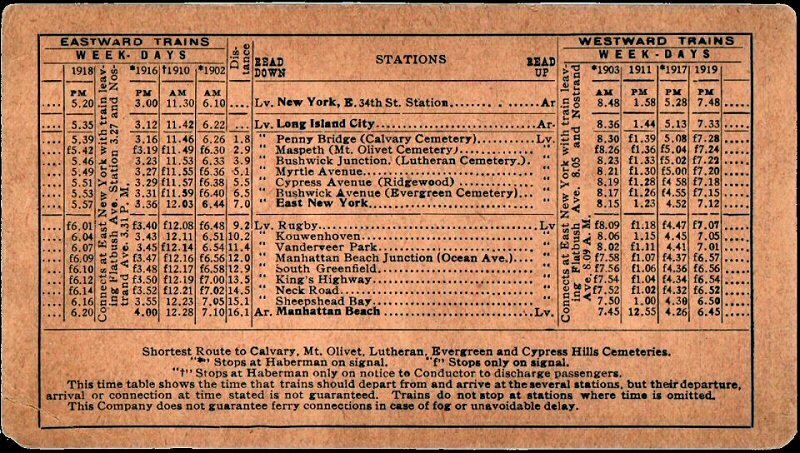 Work completed: 3/1/1918 at Bay Ridge Yard.